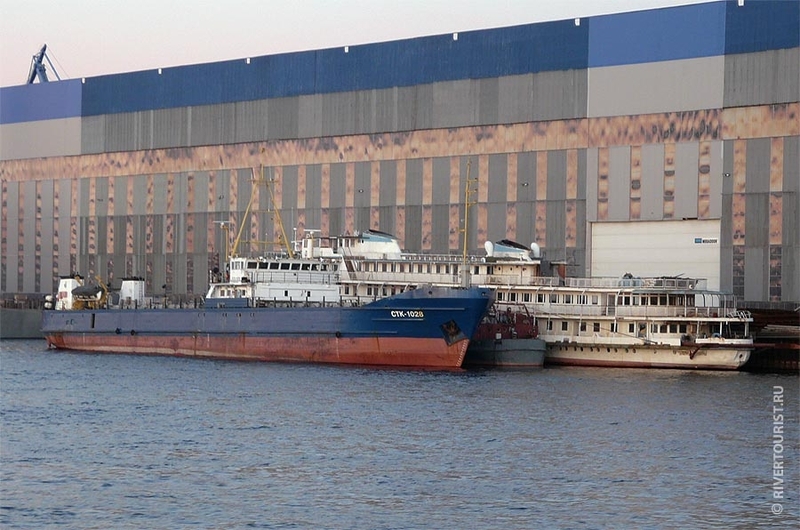 Since 2001 the shipyard has begun to build «river-sea» dry-cargo vessels of «Valday» type. These vessels were intended to carry cargoes not only by waters of Russia, but also to countries near and far abroad. It was planned to produce all the machine building equipment for «Valday» on the Nevsky Shipyard. Namely Shliesselburg was supposed to be the repair base for ship engines. Due to this the enterprise reached double over-fulfillment of planned production volumes. It began to render the services not only for its holding but other companies too. After slipway reconstruction finished on May 2004 its cargo capacity increased up to 3000 ton that provided lifting of almost all the «river-sea» vessels. Two covered shed with length of 220 and width 42 and 48 meters were built (the premises for construction and repair of vessels on shore). The modernization of open slip launching arrangement was finished; the cranes were restored to service. New line was put into operation in one of the workshop. Installation of German equipment there allowed reducing considerably the factory labour hours. Measures for restoring to health an enterprise provided it with guaranteed ship repair orders by North-west fleet as well as other shipping companies. Shipyard returned its customary shipbuilding, ship repair and machine building orders. In 2007-2008 the order book made 75-80% of Nevsky Shipyard full load.